Atlanta Food Not Bombs and aligned community groups are working to support poor and homeless people with food, clothes, shelter, and wellness. The city government wants to shut down our efforts. They claim that they alone will solve the homeless crisis in our city, but we know that community groups are the ones doing the real work. Please donate to support our ongoing work to stand up against police harassment, and to get needed resources to the poorest in our city! We are all volunteers, every dollar contributed will go directly towards grassroots efforts to help those in need. 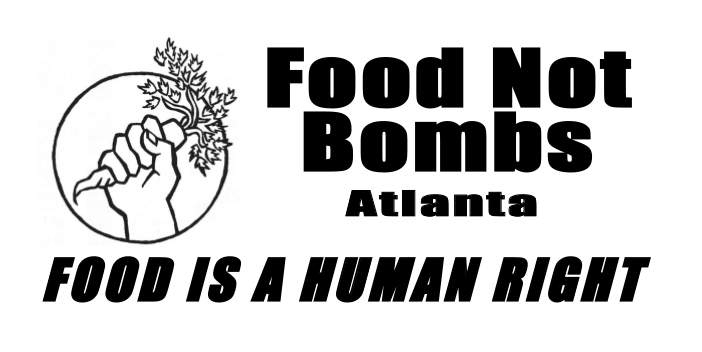 You may receive updates from Atlanta Food Not Bombs, the sponsor of this fundraiser.